What we unwittingly released was a firestorm when we published the butterfly releasepiece last week. Turns out there is a dark side to the practice, and we want to share with our readers what we have come to know.....and hey, folks, this is one of the reasons the blog exists! It gives us a great forum to talk with, question, and learn from each other! The butterfly world is kind of divided in two camps on this issue. On one side are members of IBBA, theInternational Butterfly Breeders Association, who say that the practice of releasing butterflies is safe, both for the butterflies themselves, and for their impact on the environment they enter. 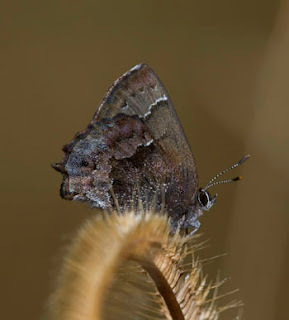 On the other side are a number of people, including members of the Xerces Society, and the North AmericanButterfly Association (NABA). There was a lot to learn at the 2010 Wildflower Symposium presented by the Florida Wildflower Foundation (FWF) held at the Florida Federation of Garden Clubs building in Winter Park. Jeff Caster, FWF president filled us in on the inner-workings of the foundation's activities, the new information-rich foundation website, and how Florida's native wildflowers are enriching lives. of the Ixia chapter at the Burger King parking lot in Callahan. We headed North to Ralph E. Simmons Memorial State Forest. We picked up another Ixia member on the way and had a "TWO CAR" caravan. 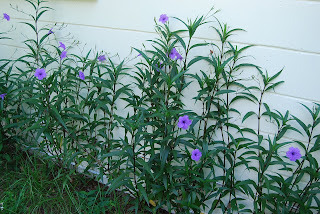 Ladies and gentlemen of the jury: before you today stands the Mexican petunia, Ruellia simplex, of the family Acanthaceae, a blue, long-flowering plant used copiously in landscapes throughout Florida. 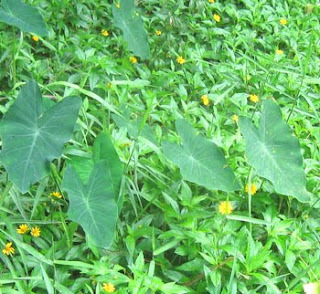 What we will attempt to show you today, is that this plant, which invaded our fair state from foreign countries, is not a part of a sustainable ecosystem here, and in fact, has gone rogue with deleterious effects in a wide variety of habitats. In my guest rant on today's gardenrant.com, I maintain that many people ARE interested in gardening events. This is in response to a NYTimes article a few weeks back that botanical gardens have had to cancel their garden-oriented events, because there's not enough interest. 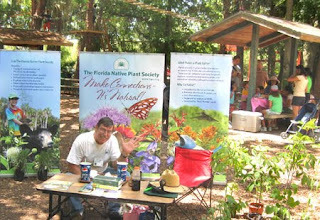 I took part in eleven (11) garden-oriented events in Florida over this past year where up to 20,000 people attended. I've summarized some of the best ideas for holding successful garden-oriented festivals. I've also included a link to a photographic tour. Enjoy! 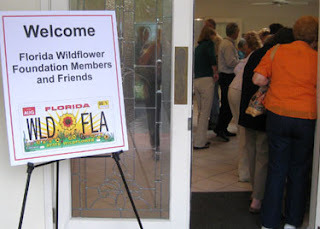 I was quite pleased to see that various FNPS chapters were organizers or participants in the majority of the Florida garden fests. What a great way to reach out and educate the very specific group of folks--the gardeners! If you have more ideas or would like to share your experiences, please leave a comment. Learn more about butterfly farming: read A butterfly hobby takes wing and brings in $300,000 a year. Be sure to watch the beautiful video of a monarch emerging from its chrysalis. While we can attract butterflies to our own yards by planting more native plants--particularly larval food plants for butterflies, sometimes we might wish for more butterflies for special occasions. This is when having access to a butterfly farm like White Oak comes into play. I thought it was interesting that they ship adult butterflies in folds of wax paper in chilled containers to "mimic a cool spring morning." In my tour of 11 Florida garden fests this past year, several included butterfly houses and/or butterfly releases. Just beautiful! Holly Scoggins, one of the garden professors posted an interesting piece on the defintions of terms including alien, exotic, invasive and aggressive. The discussion in the comments is also worthwhile. We discussed it here a few posts ago: Invasive vs. Agressive... Part 1. As you may have noticed, we have listed several books over in the right-hand column. If you use our Amazon links to purchase books FNPS will make some money depending upon the price of the item. If you use Amazon to purchase other items, you can still link to one of the books and then navigate to any other item to earn some cash for your favorite group. 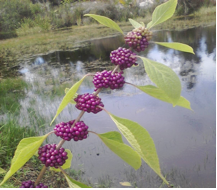 On another note, if you wish to suggest any other books that you think folks would be interested in that relate to Florida and its native plants, let us know. PS., if you would like to suggest a topic or if you'd like to be a guest blogger, we'd love to hear from you.